DX9 Toys has revealed final product images of their War in Pocket X13 Mightron on their Weibo page. The gallery gives us a glimpse of the legend sized Generation 1 Megatron homage in fully painted robot mode being compared with THS-02 Hybrid Style G1 Convoy, as well as the iconic Walther P-38 pistol mode. X13 will include sword, gun, and energon mace accessories cast in translucent plastic, also silencer and gun stock parts that can be combined into a cannon tower or put together with Mightron in pistol mode. X13 Mightron is slated for release at the end of » Continue Reading. The post DX9 War in Pocket X13 Mightron Color Images appeared first on Transformer World 2005 - TFW2005.COM. Artist Matt Frank has dropped by our 2005 Boards to share with us some artwork which he will be making available as a print at Botcon 2016! 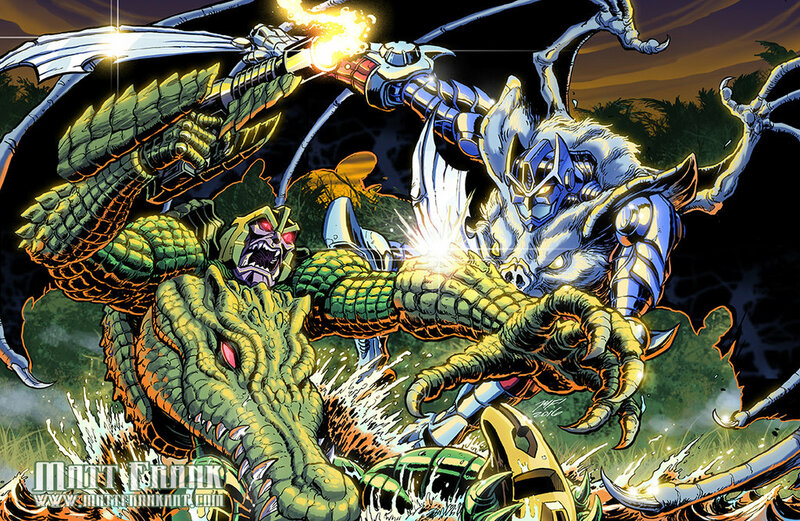 The print celebrates 20 years of Beast Wars and shows a scene with the original two-pack that started off the line – the Basic class bat Optimus Primal fighting alligator Megatron! The print brings these two characters to life in Matt’s signature style – check it out, and if you’re at Botcon next week in Louisville, KY, be sure to pick up a copy of the print from Matt, and let IDW know » Continue Reading. The post Matt Frank Botcon 20th Anniversary of Beast Wars Print appeared first on Transformer World 2005 - TFW2005.COM. Season 2 of Robots In Disguise is in full swing and today we have an episode summary for the 11th episode: Robots in Disguise: Outstanding. Thanks to our TFW2005 boards members SeanTF1967 and Nis Randers, we have a translation of the episode summary that originated from fernsehserien.de: “Slipstorm and Jetstorm want to prove that they can work very effectively without the requirements of their teacher, Drift. Unintentionally they expose Drift to danger. Now they have to rush to rescuing him, before it’s too late.” This episode will be airing on April 10th in the UK, and April 30th in the US. The post Robots in Disguise Outstanding Episode Summary appeared first on Transformer World 2005 - TFW2005.COM. FansProject has revealed promotional images of their latest entry in their Warbot toy line, WB007 Dai-Z, a homage to Dai Atlas from the 1990 Japanese TV series Transformers: Zone. Dai-Z will feature 3 Soleron Cores named Driller, Speed, and UltraSonic, 3 vehicles that combines to form the spaceship or robot mode standing at 8.25″ (21cm), and also accessories including gun, sword, 2 wings (left & right), and shield. WB007 is scheduled for release in July 2016, but preorders are available now through our fine sponsors below. Sponsor Links: Big Bad Toy Store, TFSource, <a » Continue Reading. The post FansProject Warbot WB007 Dai-Z Preorder Available appeared first on Transformer World 2005 - TFW2005.COM. 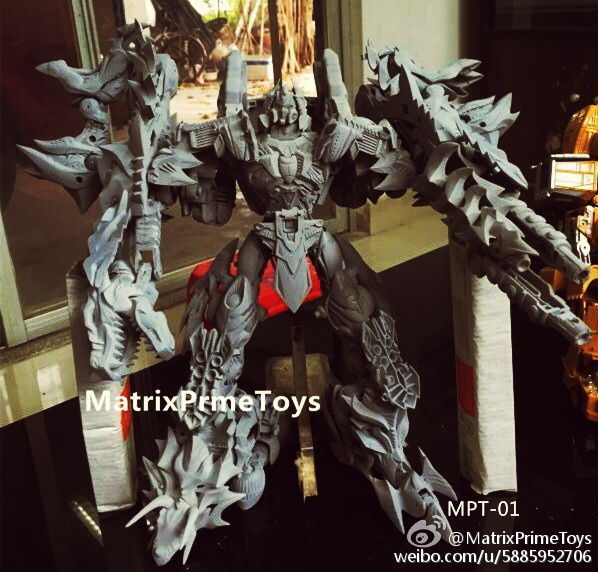 Matrix Prime Toys has brought us another slew of updates through their page on Weibo. This time we have prototype images of their unnamed triceratops (temporarily referred to as Slag) in robot mode and dino mode, along with some more dino mode images of MPT-01A (Grimlock). On top of that, they have revealed the prototype of their dinobot combiner in full, showing the 3 other members we have yet to see. This dinobot team carries a very unique aesthetic, and each member appears to be articulated. Meanwhile the combined mode has no “traditional” combiner hands and feet, and it » Continue Reading. The post Matrix Prime Toys Slag and MPT-01 Dinobot Combiner Prototypes appeared first on Transformer World 2005 - TFW2005.COM. The official Transformers Youtube page has posted a new Designer Desk video, featuring the upcoming Combiner Wars Victorion! Unlike previous Designer Desk videos, the Victorion featurette showcases more of her personality as John Warden discusses her origins and what she’s like in the comics as a combiner and as a team. Warden also talks design process as he explains how the design team wanted to create an image for the team that would make their femininity clear, while straying from the generic build of Arcee or Chromia and giving her and her components a sense of toughness; much like Strongarm from » Continue Reading. The post Combiner Wars Victorion Transformers Designer Desk Video appeared first on Transformer World 2005 - TFW2005.COM. 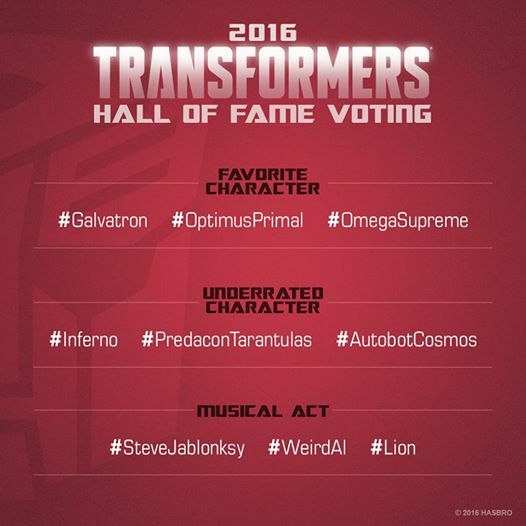 We just got word that the final voting for the Transformers Hall of Fame is live now on the official Transformers Facebook page! You can make your choice in the app for the finalists in the following categories: Favorite Transformers Character: Galvatron, Optimus Primal, Omega Supreme. Favorite Underrated Character: Inferno, Predacon Tarantulas, Autobot Cosmos. Best Musical Act: Steve Jablonsky, Weird Al, Lion. Head on over and cast your vote, the winners will be revealed at Botcon 2016 next month! The post Final Transformers Hall of Fame 2016 Voting Now Live appeared first on Transformer World 2005 - TFW2005.COM. Previewsworld has just brought us a look at two new covers for IDW‘s upcoming Transformers #52, the third part of All Hail Optimus. 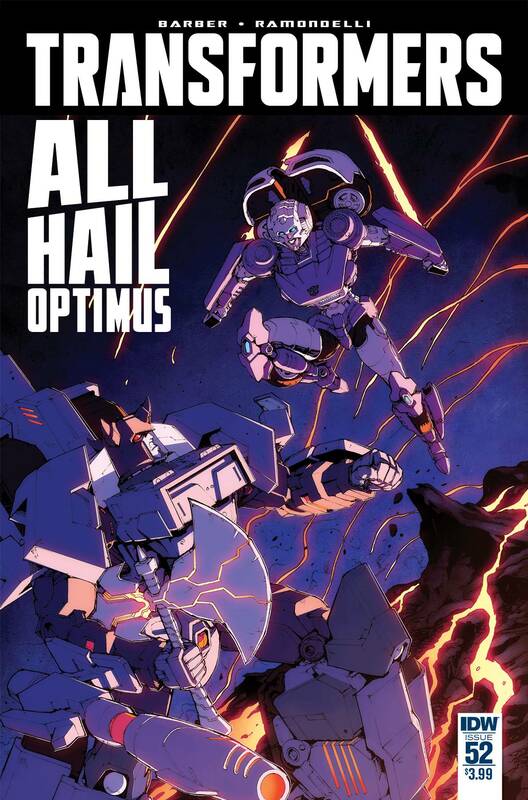 The regular cover is by Andrew Griffith, and depicts Arcee and Galvatron doing battle. The retailer incentive cover, however, is listed as being by Priscilla Tramontano, but in actuality seems to be Josh Burcham’s work, with the art being much more in his style and even featuring his signature. This cover has Optimus Prime charging into battle atop Sky Lynx as Soundwave and Galvatron look on in a very Age of Extinction-esque scene, with Optimus » Continue Reading. The post IDW Transformers #52 Regular & Retailer Incentive Covers appeared first on Transformer World 2005 - TFW2005.COM. The post NJCC New Jersey Collectors Con Is This Sunday April 3rd 2016 appeared first on Transformer World 2005 - TFW2005.COM. Another day, another Hisashi Yuki Twitter pic – and this time, it’s of the head sculpt for Takara‘s upcoming Unite Warriors Computron figure, whose prototype was just revealed yesterday. As clearly seen here, this is a full-on new head sculpt, something that both Hasbro versions of Scattershot lack – and it is, of course, a much better match for G1 Computron’s head. We suspect that Yuki-san will be posting many more pictures of Unite Warriors Computron in the near-future, but until then, you can check out his noggin after the jump. 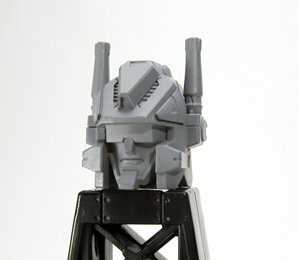 The post New Image of Takara Unite Warriors Computron Head Sculpt appeared first on Transformer World 2005 - TFW2005.COM. We have a few more new images for you this morning of Takara‘s upcoming Masterpiece Optimus Primal figure; first off, Type-R brings us an image of Primal with all his various weaponry showcased, including his twin swords and shoulder/forearm cannons. But the more potentially interesting news here are the images that daimchoc has brought us. 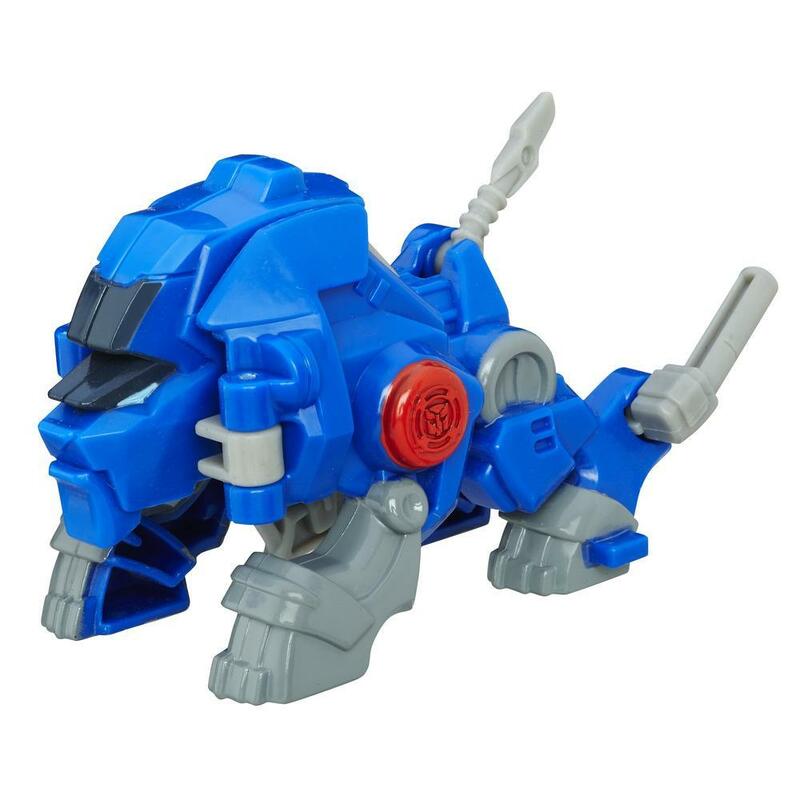 Details are sketchy at the moment, but it appears as though Primal may be coming with his skull flail weapon, which was included in his original Beast Wars toy. We advise you to take this as a rumor for now until more gets » Continue Reading. The post New Masterpiece Optimus Primal Weapon Images appeared first on Transformer World 2005 - TFW2005.COM. 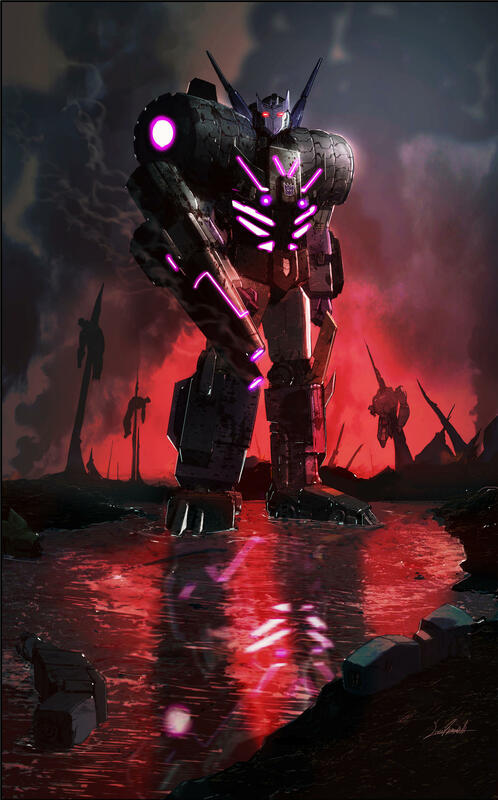 IDW comic artist Livio Ramondelli has uploaded his cover for Transformers: More than Meets the Eye #51 to his DeviantArt, featuring none other than the leader of the Decepticon Justice Division himself, Tarn, in all his murderous glory. As Livio so aptly puts it, Tarn is seen here “enjoying a lovely day at the office”, with many impaled bodies in the background. The second part of The Dying of the Light will be out in just two days on Wednesday, March 30th. The post Transformers: More than Meets the Eye #51 Livio Ramondelli Cover appeared first on Transformer World 2005 - TFW2005.COM. Hasbro has posted a music video for “Roll Out” by the band Mount Holly from the upcoming album Transformers: Roll Out. The song was Recorded, Filmed, and Edited by Dallas Kruse at Zion Studios – Santa Ana, CA. Transformers Roll Out heralds the global pop-culture Transformers phenomenon, featuring a collection of hit original songs inspired by the Hasbro Transformers franchise from leading established and up-and-coming alternative, rock and alt-pop artists, morphing together to create an epic portfolio of hard-hitting tunes that truly embodies the soul of the Hasbro Transformers brand. 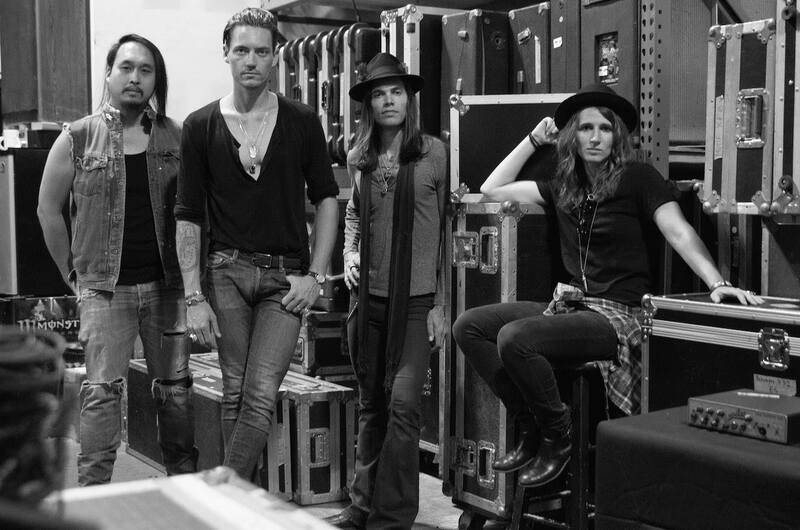 The album will include tracks from chart topping rock band ‘Bush’ and » Continue Reading. The post Music Video Of Transformers: Roll Out By Mount Holly appeared first on Transformer World 2005 - TFW2005.COM. Site sponsor TFsource stopped by with some new SourceNews! 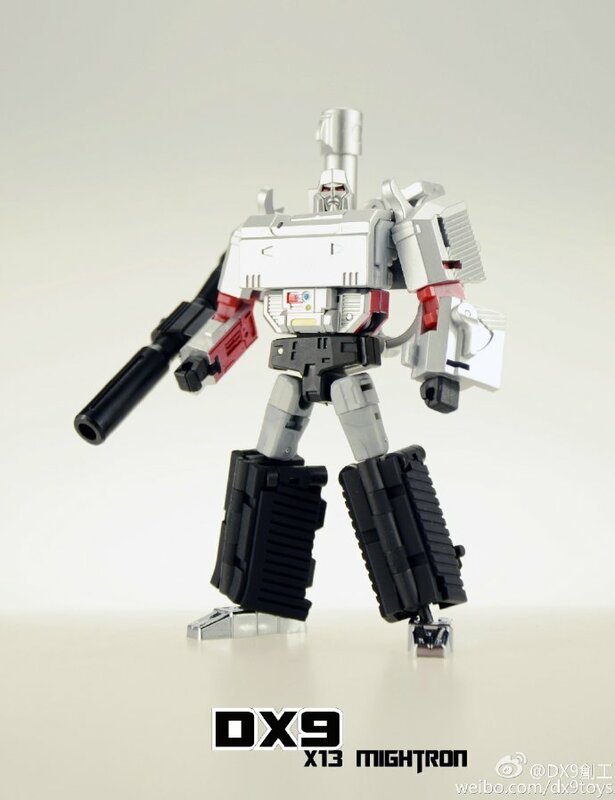 Looking for MP-32 Optimus Primal, TransFormMission Havoc, Platinum Classics Prime vs. Megatron? TFsource has you covered, check it out below! 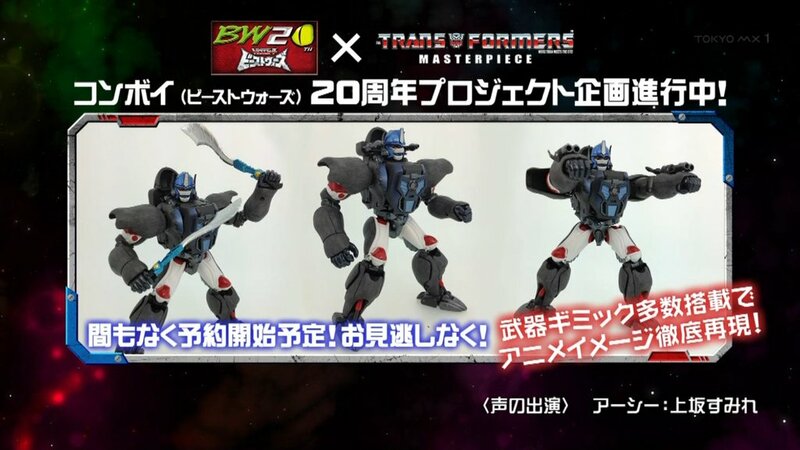 NEW HOT PREORDERS: – MP-32 Masterpiece Optimus Primal / Beast Convoy – TransFormMission – Havoc Combiner – Platinum Edition – Optimus Prime vs. Megatron Classics Set – Dream Factory – Mega Arm – ROTF Megatron Cannon Arm Upgrade – Make Toys – City Bot Series – <a href="http://news.tfw2005.com/2016/03/28/tfsource-sourcenews-march-28-2016-312060">» Continue Reading. The post TFsource SourceNews For March 28, 2016 appeared first on Transformer World 2005 - TFW2005.COM. 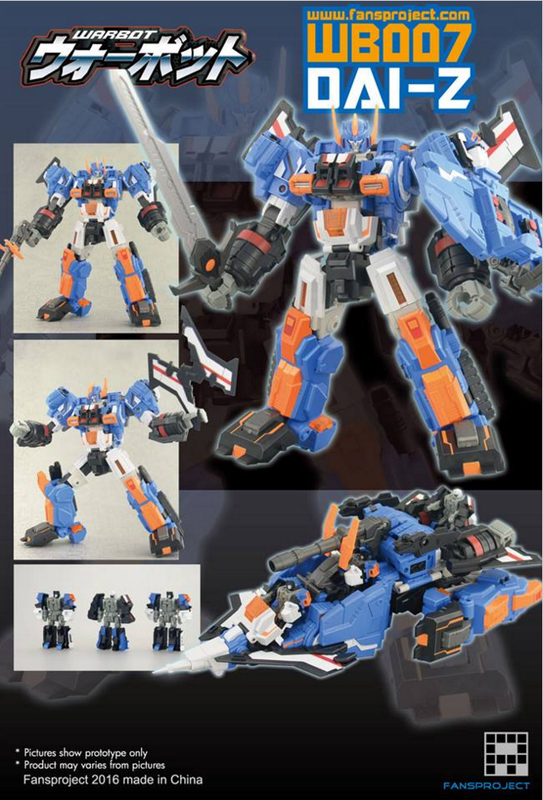 The post New Takara Preorders – Unite Warriors Computron and Legends Fortress Maximus appeared first on Transformer World 2005 - TFW2005.COM. 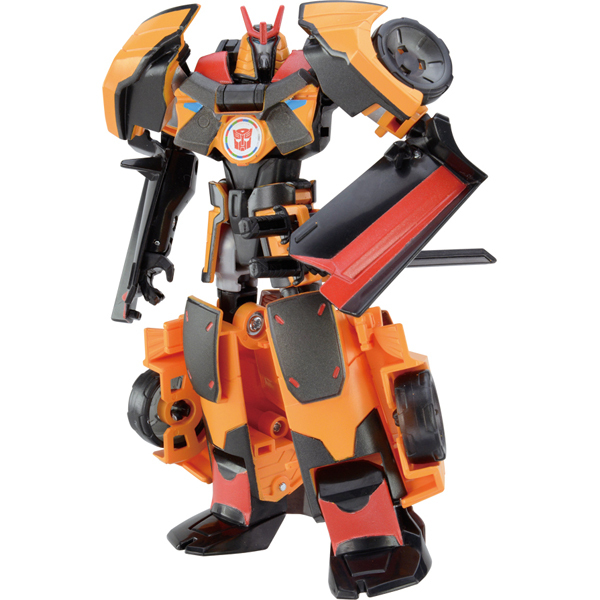 Hasbro have added some official images of the Rescue Bots Night Rescue Heatwave and Valor the Lion Bot to their website. Night Rescue Heatwave is a (slightly) redecoed version of the Elite Rescue Heatwave. Valor meanwhile is a new mold, a Rescue Mini-Con who goes from lion to jaws of life styled rescue tool – he’s pretty cool. Check out the images of both after the break. The post Rescue Bots Night Rescue Heatwave and Valor Official Images appeared first on Transformer World 2005 - TFW2005.COM. Takara Unite Warriors Computron Mold First Look! 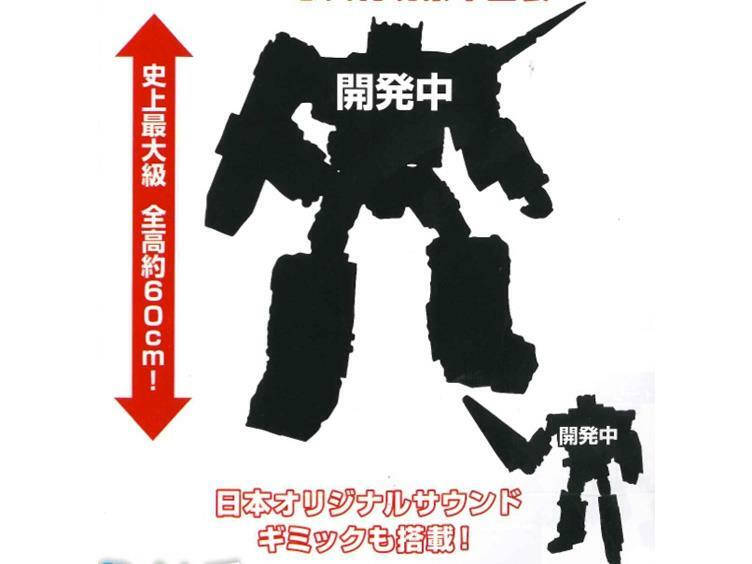 Via @figsoku, Autobase Aichi, and @vana2552, we have our first look at Takara’s Unite Warriors Computron mold! 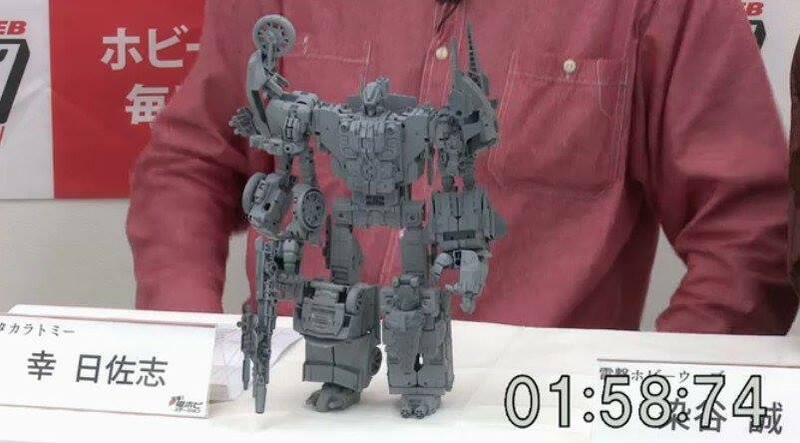 The post Takara Unite Warriors Computron Mold First Look! appeared first on Transformer World 2005 - TFW2005.COM. The post Premium Collectables Newsletter 3/2016 appeared first on Transformer World 2005 - TFW2005.COM. 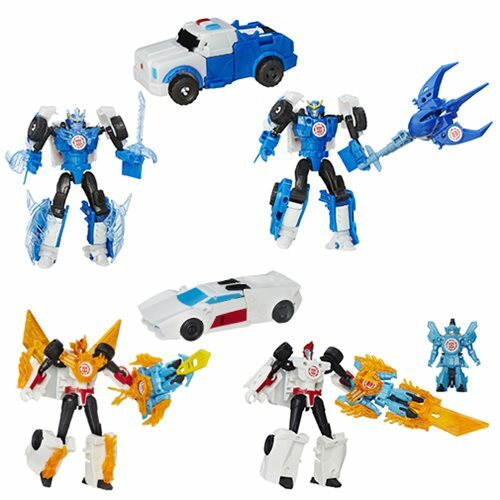 Via Entertainment Earth we have a look at a new stock image of the upcoming Robots in Disguise Mini-Con Battle Packs Wave 3. Wave 3 switches things up from the VS format of the first two assortments by including Mini-Cons who can partner up with the included Autobot to form weapons for them. Included in this assortment are Sideswipe (a redeco of the previously released Sideswipe in this series) with Windstrike, and Strongarm with Sawtooth. Like the previous sets, these approximately Legends sized Autobots come with armor parts to power them up – and the armor can also attach » Continue Reading. The post Robots in Disguise Mini-Con Battle Packs Wave 3 New Image appeared first on Transformer World 2005 - TFW2005.COM. Once again via fernseserien.de we have a summary of an upcoming episode of Robots in Disguise Season 2. In Portals, things are getting serious – Bumblebee is out of action (and the dimension) just as some powerful Decepticons are turning up. It sounds like the tension is escalating as Robots in Disguise moves toward its conclusion – check out the full summary after the break. 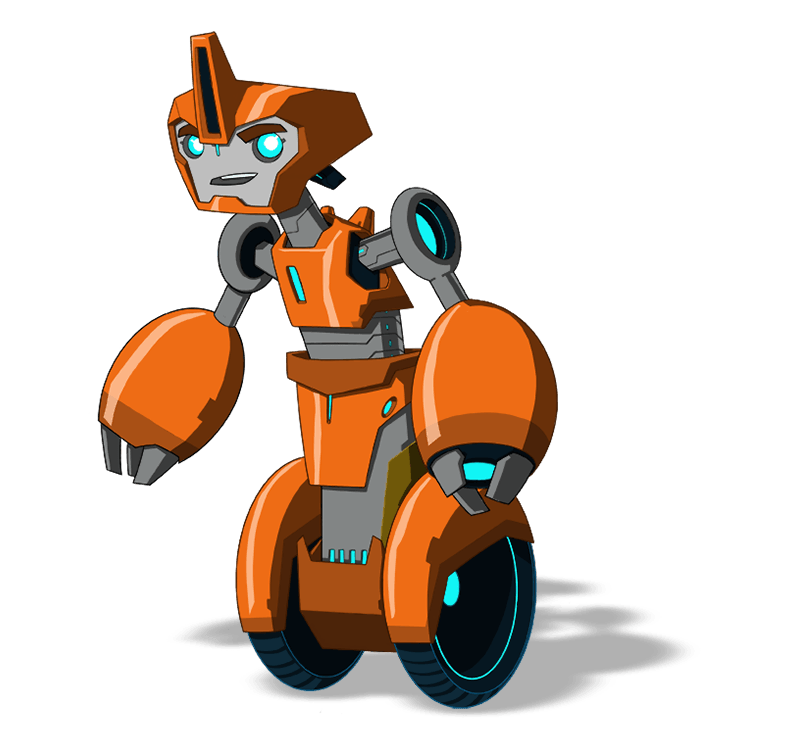 Robots in Disguise Season 2 Episode 10 Portals Fixit tries to carry out a repair, but it goes badly wrong. To everyone’s dismay he summons two of the most dangerous Decepticons on the » Continue Reading. The post Robots in Disguise Portals Episode Summary appeared first on Transformer World 2005 - TFW2005.COM.